One-part U.S. one-part U.K. Social Beingz are a brand new cocktail of urban-pop music. Ryan Louis Griggs, born in Florida and raised in Connecticut, USA, moved to Manchester, UK, in 2007, there he met Mancunian native Josh Green. Between Josh’s infectious pop melodies and Ryan’s uplifting rap lyrics a musical taste sensation was born. Influenced by artists like Craig David, Macklemore, Drake, Jon Bellion, Twenty-one Pilots, and not afraid to admit their love for N-Sync, One Direction and Justin Bieber. In a “manufactured” music era, Social Beingz deliver an out-of-the-box approach to make organic pop music with integrity and authenticity. Ryan & Josh write every lyric and melody, putting 100% of their passion into their craft. With their first release “All Cried Out” featuring London singer Tessa E, they left listeners buzzing and wanting more. 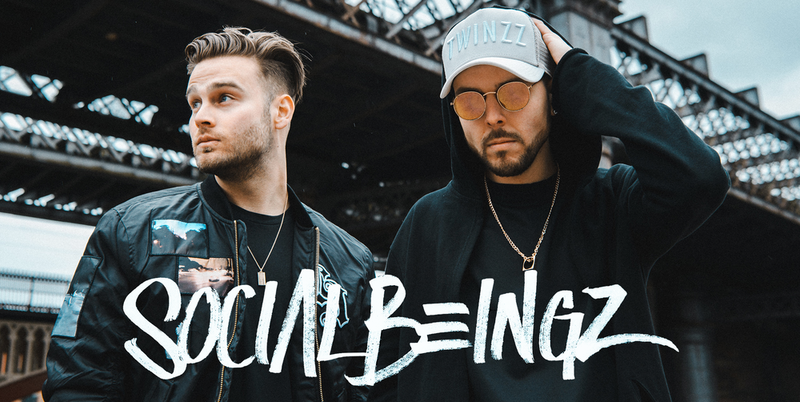 Social Beingz are due to release a highly anticipated Album by the end December 2018/January 2019 with a few tasty treats to keep their fans going along the way.